Our mandate at hindsight is to study, observe, and research our cities in order to present timely and relevant issues that are facing the urban condition. We will be exploring, especially through archival photography*, a variety of topics through the magazine series as we look back at how our cities have grown. hindsight provides a new platform of dialogue as we challenge cities to reexamine, reconsider, and recollect how their past informs their present. The hindsight project is proud to be 100% carbon neutral and the paper stock used in our magazine is made from 100% post-consumer waste. 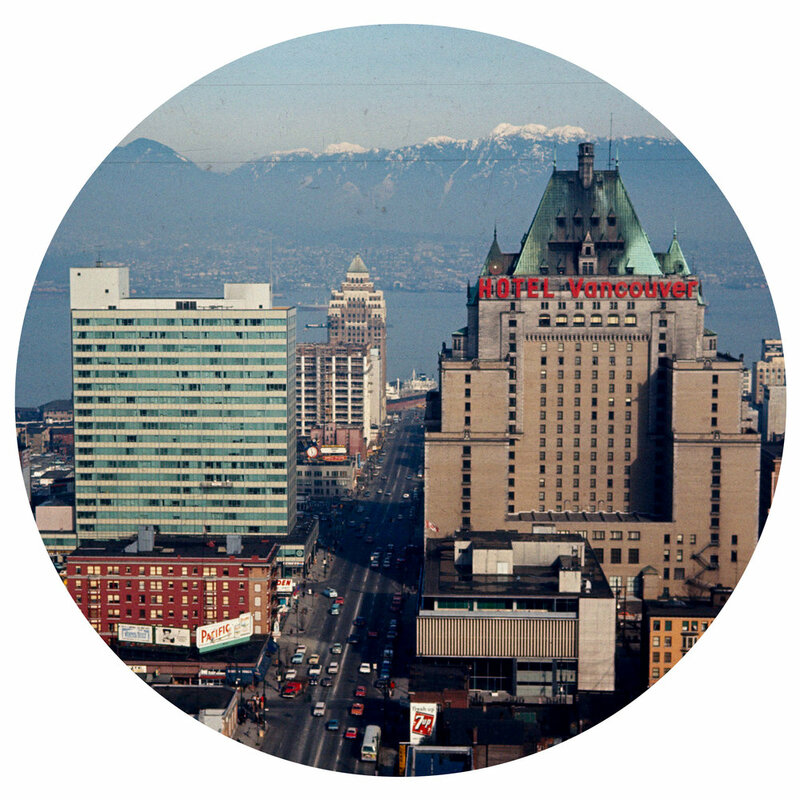 Each issue is designed, produced, and printed in Vancouver. Our issues are available for order on the purchase page, and at our stockists in Vancouver, Toronto, Montréal, London, Manchester, and Berlin. With two decades of experience in archival research, professional writing, and project management from coast to coast, the hindsight team of Megan Faulkner and R.J. McCulloch came together while completing Masters degrees in Urban Planning. With a strong academic foundation in urban history and research, the pair travels extensively worldwide, collecting local knowledge across five continents and more than thirty countries thus far. Combining their passion for heritage with their professional expertise in the field, the hindsight team is excited to offer a new way to appreciate the history of our cities, through archival imagery and critical analysis that together illustrate the evolving nature of our urban centres. The hindsight team hopes to foster a greater awareness of urban history, so that we might better understand where we have been, where we are now, and where we are going.